No matter what kind of company you are running or are a part of, it is important that you have a company biography because this serves as the company’s introduction to its clients as well the media. Biographies, in general, contain background information about a person, like in our COO biography example, company, or even a group as well as what makes them unique among the rest. Your company’s bio, however, should show more than that because you will need to entice your visitors to become interested in what you have to offer them while at the same time convince them that your company is an authority in the market. What Should Go in Your Company Biography? Background – Talk about your company’s background, how it began, who were the founders, and so on. If your company has certifications, awards, and the like, don’t forget to include them in your bio. For starting businesses, highlight the background of each board member and their qualifications. What your company is all about – In your biography, it is important that you discuss what products or services you are offering and what makes you stand out. There are probably other companies with similar product and/or services like yours so think of an angle that sets you apart from them. Financial stability – Customers, businesses, as well as the press would be curious as to how stable your company really is. This means you will have to discuss the financial status of your company in your bio. If your business is funded by an investor you can simply say that your business has been backed by XYZ investor for two years. If you’ve funded your own company indicates if there is an increase in revenues as well as when a profit will be possibly made by your business. Contact information – Don’t forget to write where your business is located as well as how you can be reached for further details. Tell your brand’s story – Most company biographies simply list their past accomplishments and such which is pretty boring and doesn’t tell much of the company at all. By telling the story of your brand, how it began, what pushed you into building it and so, you are in a much better position to elicit a positive response from your readers. Stay focused – Focusing on the most important aspects of your company such as those mentioned above can help keep your bio streamlined and professional looking. Get a quote – Perhaps you’ve worked with another company that loved your work, or you know of someone who is an authority in the niche that you are in during the previous years. Ask them for a quote or for an endorsement that you can add to your biography. Be interesting – A company bio shouldn’t be boring. Check what other companies have written in their bio and you will notice that there are some who will stick to the old formula of listing past achievements while others narrate their humble beginnings and successes in a more interesting manner. Proofread – Don’t forget to go over your biography before posting to ensure that everything is in order and that there are no grammar or punctuation problems messing your biography. Another way to make your company biography impressive is to let our experts go over it for you. 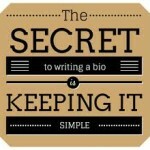 We know how to make biographies, like writing a band bio and even one for a company, works. For sure, you will love the outcome of our work once you see it. 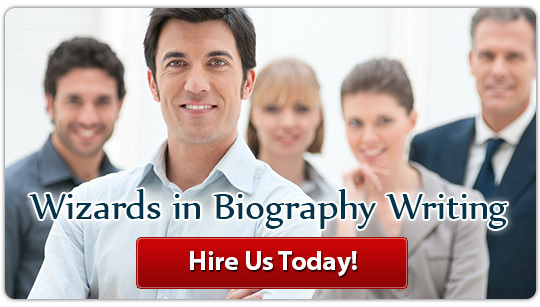 Don’t hesitate to hire our writing company and we’ll show you the best biography for your business in no time!